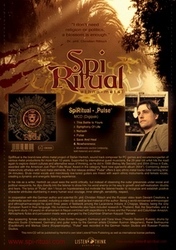 Artwork for German ethno-metal project "Spi-Ritual". (project of Stefan Hertrich (DARKSEED, Betray My Secrets, Shiva in Exile). 3-panel digipack, flyer and website (soon in Web projects).